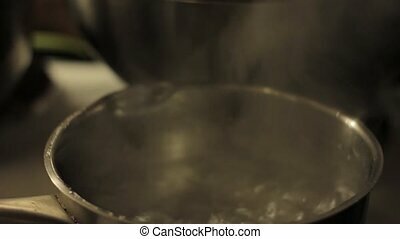 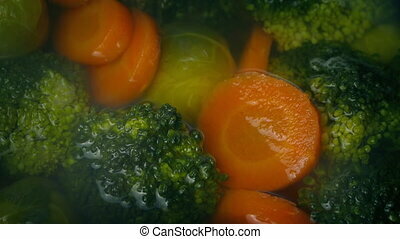 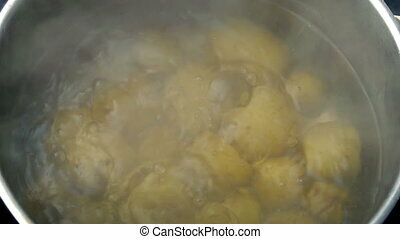 Vegetables poured into pot of boiling water. 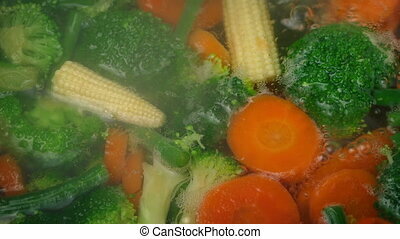 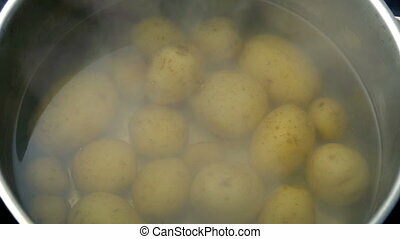 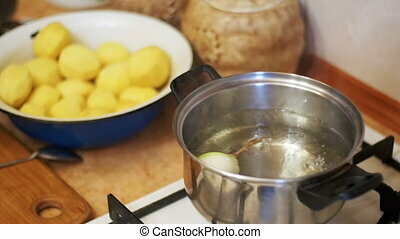 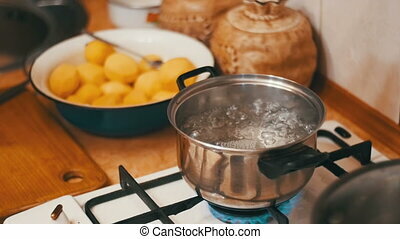 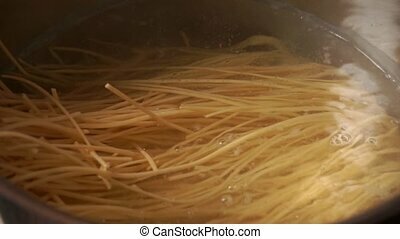 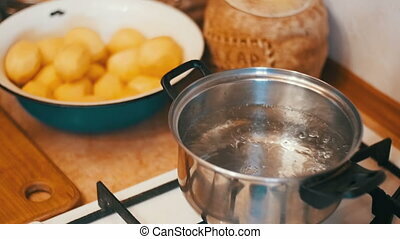 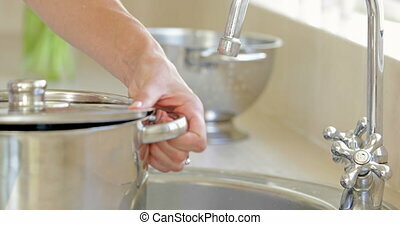 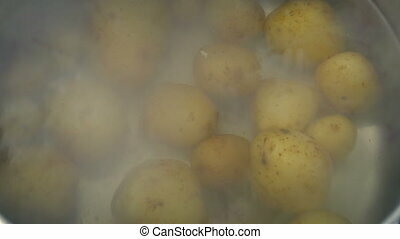 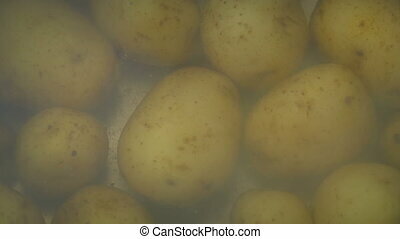 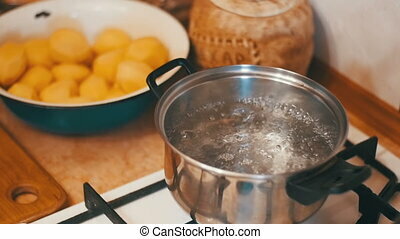 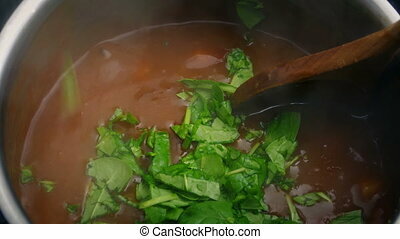 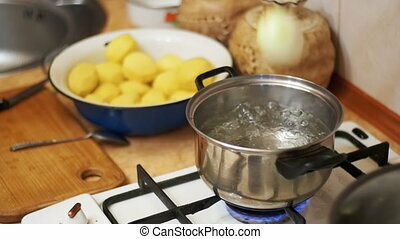 Lots of vegetables pour into pot of boiling water. 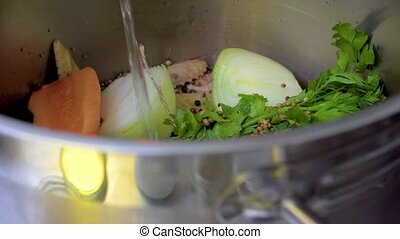 The chief pours water into a pot of vegetables. 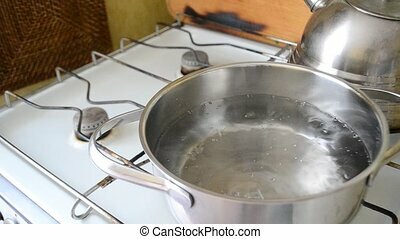 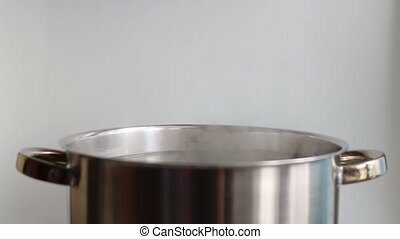 Pot full of boiling water on the electric stove. 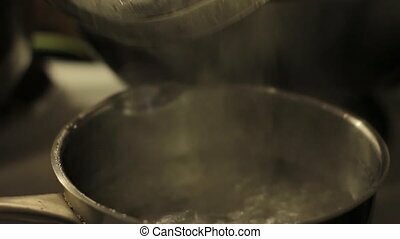 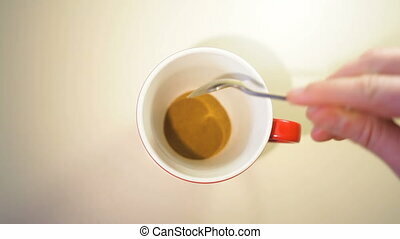 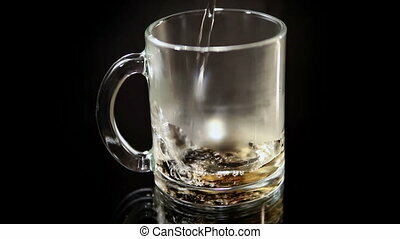 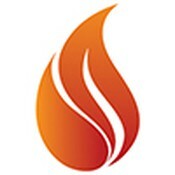 Salt is poured from a spoon.